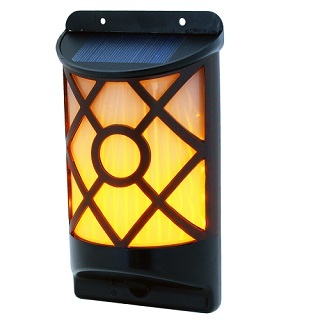 This 66 LED 16 lumen outdoor solar powered wall light emits a realistic moving flame effect light. 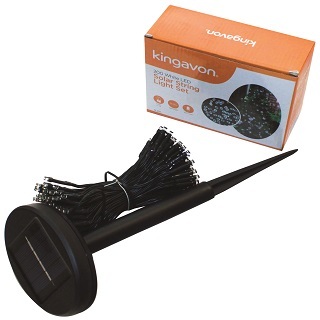 Produced by Powerplus and known as the Kiwi this classically designed product has a powerful 0.49W solar cell and is IP65 water proof protected. It has an integrated daylight sensor which means it will switch on after dark automatically and off again at dawns first light. It also can be switched on and off manually whenever required. The solar panel charges the powerful Li-ion 2.200 mAh battery which also the attractive flame effect light to shine brightly after dark.